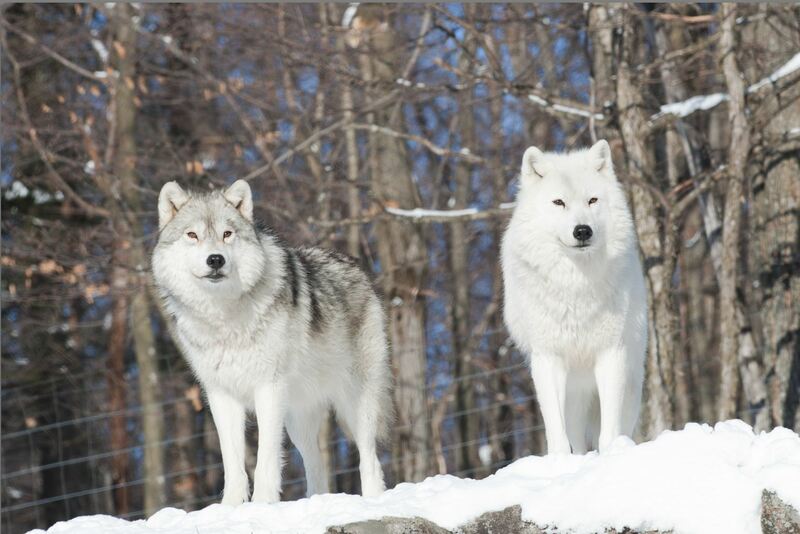 Minus 33 degrees Celsius on Sunday morning, but with the weather clear and bright, headed out to Parc Omega in Montebello, Quebec for a day of shooting game in a wildlife park in all of winter’s splendour. 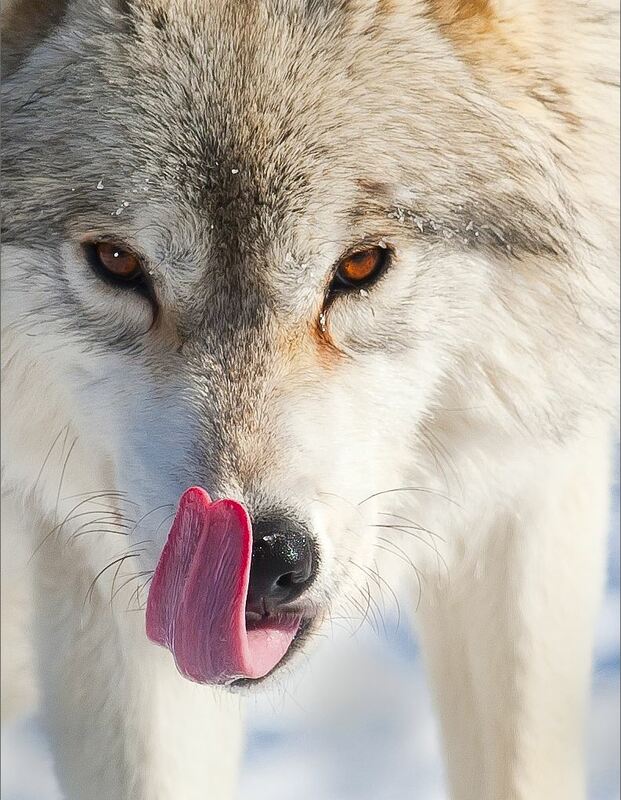 Arctic Wolf licking his lips!! Am I on the menu?? 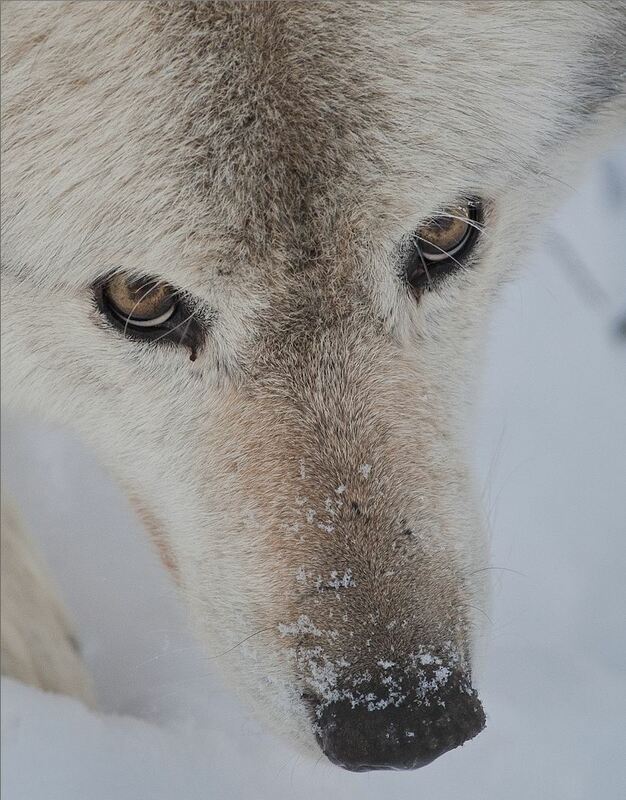 Timber Wolf, up close and personal. Fallow Deer. 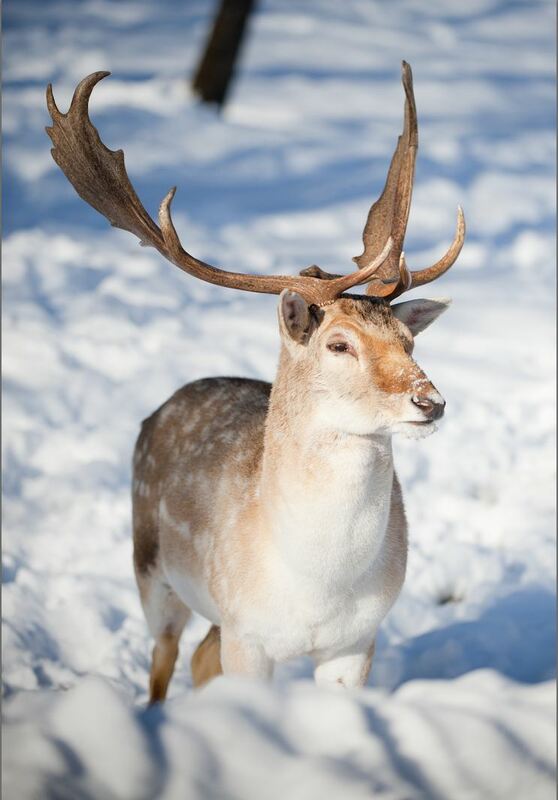 Fallow deer are not native to North America and cannot survive the rigors of a Canadian winter without care. 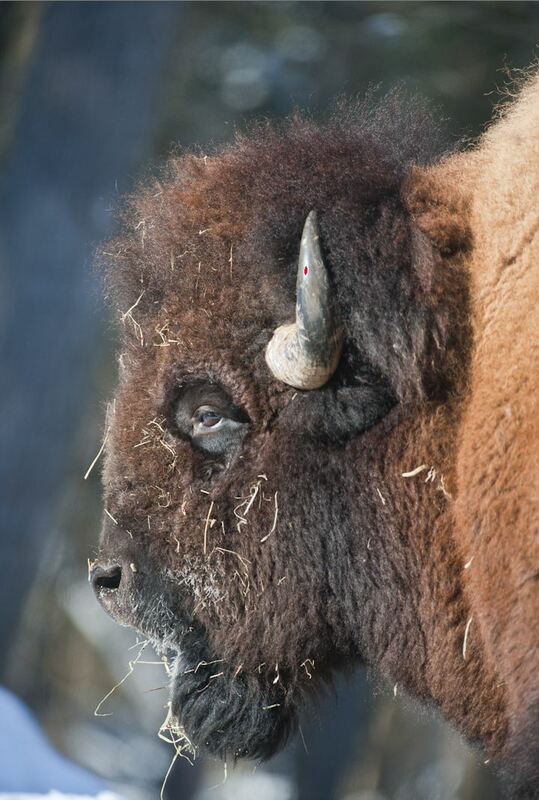 The herd in Omega were transported from a rescue farm in Ontario whose owner had died. Fangs of death! 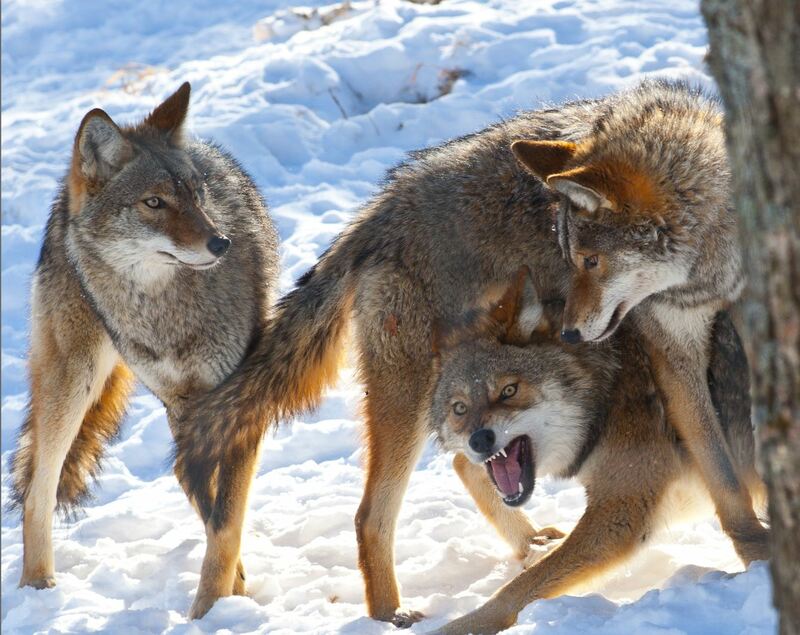 Coyote attacks are becoming increasingly frequent and have proven fatal. 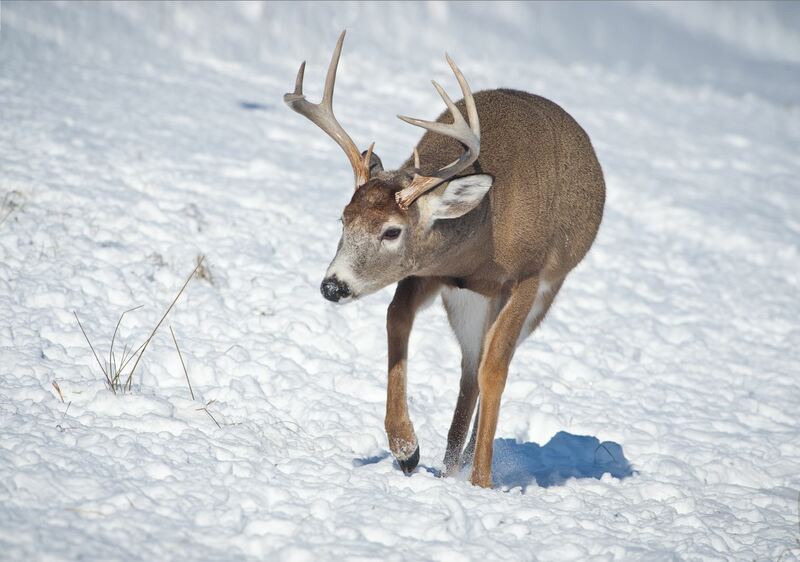 White Tail buck approaches cautiously. There wasn’t much in the way of birds today, mostly blue jays and wood peckers. Did manage to glimpse a Bald Eagle in flight. 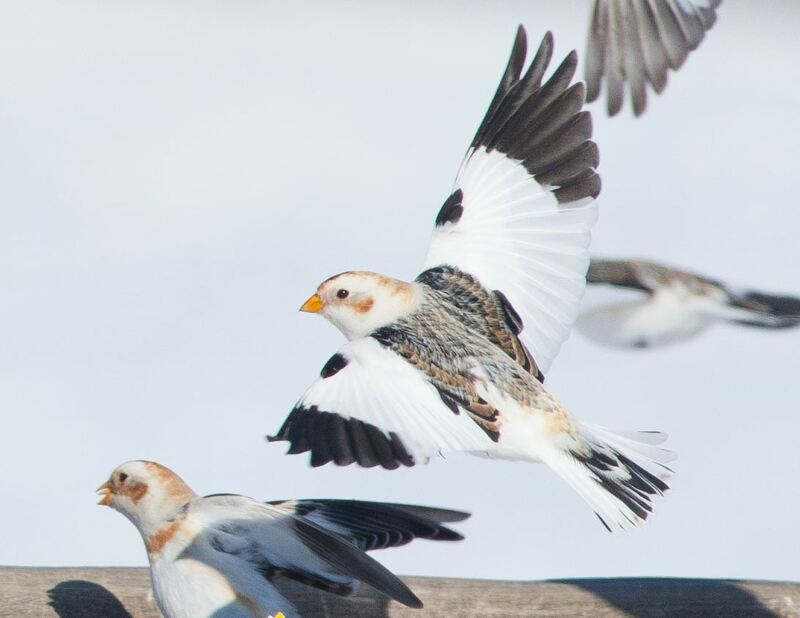 The highlight was flocks and flocks of snow buntings darting and whirling in majestic unison over the snowy meadows, flashing their magnificent winter colours.